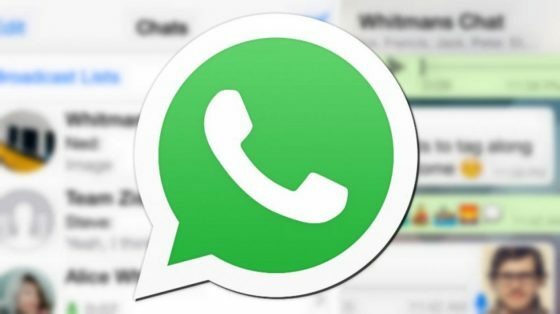 Whatsapp set to launch a new feature called 'Live Location Tracking' that allows you to know the location of the person you are chatting with. Has anyone in any way lied to you about their location from where they are chatting you from? Or have you ever thought of getting to know the location of the person you are chatting with, without having to ask him/her of where they're chatting you from. Whatsapp Live Location Tracking would enable users to show their location to members of a group chat. Currently, the feature is not officially available, though if you are in Whatsapp Beta program, you should get a Whatsapp Beta update on either Google Playstore or iTunes. Furthermore, everyone in a group, family or team can keep an eye on each other. The feature will not be automatically turned on, however, so the user gets to decide if he/she wants people to know where they’re chatting from. That’s a good sign. It means I don’t have to tell them when I’m in the toilet, but I can show off when I’m at a luxury place, doing some crazy stuff lol. Most interesting thing about this feature is that users will have the option to enable the Live Location Tracking for a limited time period. That means you could activate it for as little as one minute, or as much as five minutes. On a more serious note, the Live Location Tracking function has some sweet benefits. For example, it would help people meet each other more easily. We all know that a lot of young people nowadays spend loads of time on social media. Therefore, it could get difficult to meet up if you have no idea where the dude you’re chatting with is.